What’s all the fuss about? Geraldine Brooks’ Caleb’s Crossing. Recently, I went to my local bookshop, Megalong Books, in Leura, to meet up with author Claire Corbett. I’d met Claire on Twitter and, discovering she was local, gladly accepted her kind offer to sign a copy of her debut novel When We Have Wings for a visitor from Sweden. While waiting, holding a copy of Claire’s novel in my hand, I struck up a conversation with another customer who turned out to be Peter from East Avenue Books, a second-hand bookshop in Adelaide, who was holidaying in the Blue Mountains with his wife Joan. I asked Peter which books by Australian women were most popular. Without hesitation he said, “Anything by Geraldine Brooks.” Another Australian female author I’d never read. Not hopeful, I hunted around to see if Mum had any other books by Australian women I could read, and there on the coffee table was Geraldine Brooks’ Caleb’s Crossing,* loaned to her by a friend. For anyone who hasn’t paid attention to the literary scene, Brooks is a one-time foreign correspondent who has settled in the USA on Martha’s Vineyard, an island off the coast of Massachusetts. She has won numerous literary prizes for her work, including a Pulitzer Prize for her book March. She’s in that category of authors that I’ve formerly been reluctant to read: an author who gained her reputation overseas and, seemingly as a result of that, earned credibility in the eyes of Australian reviewers and readers, even though her subject matter – in this case, the first Indigenous graduate of Harvard College – is often intensely American in setting, theme and tone. Or is it? And why should this be important? One of the complaints about the Miles Franklin Award has been its “Australian” emphasis. The terms of Miles Franklin’s bequest, that the Award be granted to a book of high literary merit that depicts “Australian life in any of its phases”, have often been narrowly construed as demanding an Australian “setting” and strong sense of “place”. The idea that a book might speak of the lives and concerns of Australians and be set entirely in another country – or universe, for that matter – seems anathema to those who interpret those criteria, criteria which, I guess, were originally selected as part of an effort to champion Australian writing, to free it from inherited notions that anything Australian must be second-rate, that quality writing could only come from England. 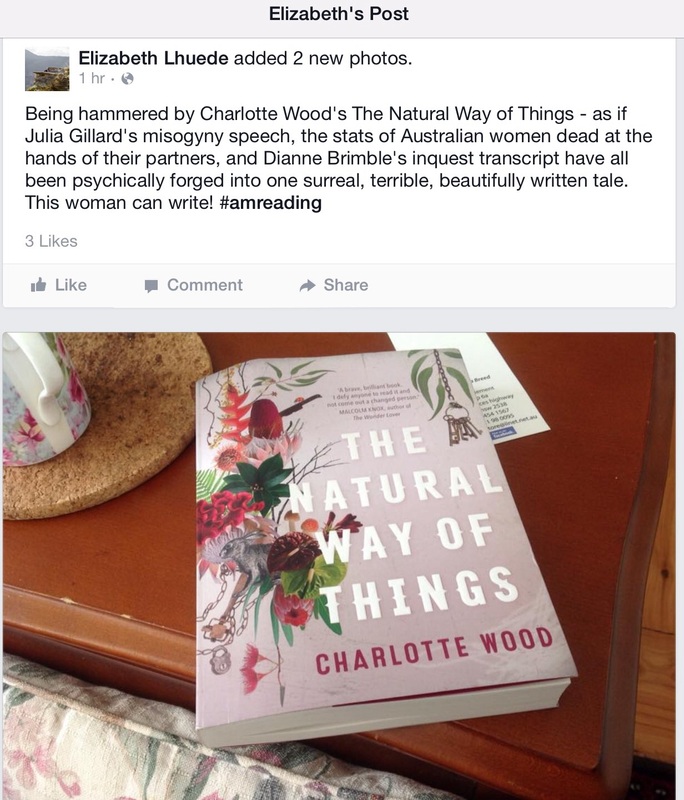 First, it seems we look to non-Australian literary prizes to tell us what to read and value. Second, we demand our own literary prize contenders make their work overtly “Australian”. Where does this leave Australian writers whose work doesn’t fit into an overtly “Australian” category? If authors, like Brooks, win major international literary prizes, no problem. But what of other, hugely popular Australian writers, such as Anna Campbell, who writes historical romance, or Anna Jacobs, who sets her “clogs and shawl” books in 19th-century England, or prize-winning romantic-comedy author Kandy Shepherd, published in the US, who swapped her settings from Blue Mountains NSW for rural Northern California? Or successful Speculative Fiction authors such as Kate Forsyth? To name a few. Are these authors’ books, because of their settings, less “Australian” than ones set in Broome, Alice Springs, Port Douglas, Sydney, Melbourne or Adelaide? Judging by the criteria set for the Love2Read “Our Story” selection, an initiative of the National Year of Reading, it would seem so. And guess what? The “Our Story” selection is dominated by books by men. Is this emphasis on “Australianness” helping to marginalize work by talented women? The Stella Prize panellist, Jo Case, has written on the implications of this “blokey” construction of Australian identity in relation to women’s writing and the Miles Franklin Award, so I’ll leave that for now. I’m meant to be reviewing Caleb’s Crossing, a book which consistently appeared in lists of “top 5” selling books of online Australian bookshops at the end of 2011. Reviewing it seems more important than ever now that I’ve seen some Twitter responses to the novel – one reader couldn’t get into it and set it aside; another, a librarian, persisted, but found it didn’t get any better. How do these responses tally with all the hype and mega sales? So two questions hovered when I picked up Caleb’s Crossing, the book’s popularity – deserved or not – and whether Brooks’ story, just as much as all those shortlisted on the “Our Story” selection, might reflect what it means to be Australian in the 21st century. Yet another refrain singing through my mind was the first of Brooks’ Boyer Lectures on the idea of “home” that I’d recently heard on Radio National. In that, she discussed growing up – literally – in “Bland Street” in Sydney. Listening to her half-Australian, half-American drawl, I sensed that, growing up, this author – like many of our generation – had held an insidious belief that “real life” happened somewhere other than where we found ourselves. And why wouldn’t we – being educated by reading dominated by stories set in other places and other times? Youth of our generation left adolescence with wealth, leisure, fearlessness and great expectation – we happily flew off to Europe or Asia before the term “Gap Year” was invented. We engaged in a rite-of-passage during which self-deception ruled: we weren’t “tourists”, we were “travellers”, even if we banded together with other Aussies or Kiwis on Top Deck and Contiki buses, or on mattresses in a friend-of-a-friend’s flat in Earls Court. Many, like Brooks and the character Mandy – another foreign correspondent – in Charlotte Woods’ The Children, became true travellers, citizens of the world, never fully making it back “home”. Is it surprising to me that Brooks married an American and settled in Martha’s Vineyard? No. Does this make her writing any less “Australian”? Perhaps. But how does one judge such things? Another refrain teasing me as I read Caleb’s Crossing was the fate of Bennelong, the Aboriginal man whose name was endowed to the site of the Sydney Opera House. Bennelong lived in the earliest days of settlement in Sydney in the late 18th-century, learned to speak English, dressed in European garb and travelled to London where he was feted as a curiosity of the Empire. The song of Bennelong’s life formed a sad counterpoint to the one I heard of Caleb Cheeshahteaumauk, Brooks’ eponymous character. The European worlds which these two indigenous men encountered were vastly different: the values of the Puritan evangelists who founded the New World had little in common with those who settled the East Coast of New Holland more than a century later, English military masters and their impoverished, often drunken, convict charges. But this difference in the nature of the colonial-indigenous encounter provoked for me a number of questions: what if the Puritans had travelled further west and set out across the Pacific? Or what if La Perouse had beaten Cook to Botany Bay? If the Chinese had settled here during their fifteenth-century explorations, or the Dutch later? What if we were now to be invaded, not by a horde of desperate refugees, but by a race convinced of their own moral or technological superiority, such as true alien invasion? Or, closer to reality, if our world were transformed in less than a few generations irreparably for the worse, because of the values of those who claimed the land and means of production, whose attitude to resources is one of exploitation, who unthinkingly introduce foreign species or technologies and non-sustainable land-use practices? What would we lose? What would we gain and at what cost? Would our accommodation of these alien values destroy our “essence”? What “essence”, if any, do we Australians have to destroy? For me, it didn’t take much for Brooks’ story of 17th-century America to appear vitally relevant to what it means to live in Australia in the 21st century. Read this way, Caleb’s Crossing creates space to consider the most pressing issues that face us, both as Australians and as citizens of the world, as we enter an uncertain future. How can such considerations be anything, if not Australian? Clearly, however, such a reading is far removed from the events and characters depicted in Brooks’ story. So to the question, why all the fuss over Caleb’s Crossing? And why the temptation for some readers to put it down and not pick it up again? I enjoyed this novel, but it isn’t without its shortcomings. In my view, these stem from a paucity of characterization and a confusion of genre. Brooks falls into a classic trap: she romanticises Caleb – not his fate, certainly, based as it is on fact; but the construction of a sense of his “essence” as an Indian prince robbed of his rightful heritage, his songs and ceremonies, his physical fitness and the island land of his ancestors. Caleb never became real to me as a person, remained only the repressed object of desire for narrator Bethia May – daughter of an Evangelist minister, or “Storm Eyes” as the boy Caleb dubs her – and later as an exemplum of an early “Uncle Tom” figure, whose conversion to the ways of the Europeans leads to his downfall. This idealization of Caleb’s character wouldn’t matter if readers were invited to believe that Bethia herself remained distant from him, treating him as an object in her imagination, or if there were some grounds given for her construction of him as a “noble savage” more than a century before Rousseau. But Bethia is portrayed as having known Caleb intimately, perhaps more than a brother, from a very young age, including – improbably – learning his language. Is this a failure of the novel? Possibly, but I understand why Brooks has constructed Caleb’s character in this way. It enables her to get away with a narrative transition that, to a romance reader, would be otherwise unthinkable: she swaps from one hero to another mid-novel. This brings me to the book’s second glaring shortcoming: its confusion of genre. In Caleb’s Crossing, Brooks initially harnesses the power of romance. Avid romance readers would have no trouble reading the cues: Caleb is portrayed initially as a handsome, “exotic” warrior figure whose love is forbidden, given the mores of Bethia’s time. The narrative choice of creating a fictional memoir, penned at different intervals during Bethia’s life, allows Brooks to hint at the possibility of illicit union between the two, teasing the reader with a sense that Bethia may succumb to temptation and transgress the moral code of her time, that “Solace” is Bethia’s child. This sense is derived from carefully crafted hints about what Bethia desires but won’t admit to herself, her older brother Makepeace’s warnings of self-deception, the constant references to the possibility of damnation, the temptations Bethia herself chastises herself for – not limited to her literal drinking from the forbidden cup belonging to Caleb’s uncle, the indigenous “pawaaw” or medicine man. Brooks creates an underlying sexual tension between Caleb and Bethia which, for a romance reader, doesn’t entirely disappear when Bethia’s new love-interest, Samuel, appears. The story achieves this shift from one “hero” to the other, but only because the characterization of Caleb is so slight, so emblematic. The reader never becomes fully invested in regarding Caleb as Bethia’s mate; in fact, we get the sense that we know little more about him mid-way through and at the end than we did at the beginning. This transition from Caleb as love-interest to the equally little-known male character of Samuel creates confusion: is this a love story, with the desired object so repressed that the reader is invited to feel the grief of the loss even when the character herself is unaware? For some readers, perhaps. But why should consistency in genre be important? For me, it has to do with the emotional pay-off (or lack of it) of the novel. Had Brooks consciously opted for a clever double-blinding of the first-person narrator to her own illicit desires, the book would have held far more emotional power for me. As it stands, the distance I felt from Caleb meant that I didn’t care as much as I should have about his fate: the novel’s emotional climax failed to touch me in the way it would had this been a romance-gone-wrong or love story, or indeed a romance with a happy ending. That’s the price Brooks pays for this confusion of genre: a lack of emotional power in the narrative. Could Brooks have written the relationship of Caleb and Bethia in some other way? Certainly, but not without risking adding a further charge of falsifying history. Stories of sexual transgression are nothing new in American Literature – consider Hester Prynne in Hawthorne’s The Scarlet Letter – but a story of love between a Christian gentlewoman and “a salvage” at that time: how likely was it? The book ends as it ostensibly begins, not as a romance nor a love-story, but as a fragmented memoir. This device suggests it was written over a series of years and this arguably explains its disjointedness. Perhaps, some might argue, the gaps in the narrative and characterisation represent shifts in time and the changing perspective of the narrator herself as time colours the way she views the past and stretches the limits of her self-honesty. Perhaps there is greater depth in such a construction than I’ve given credit for here… Or perhaps the book just isn’t that well written. For the novel’s strengths, I look to Bethia herself, the portrayal of early settlement life in America, the previously unknown (to me) story of the first indigenous scholar of Harvard University, the tensions between Bethia’s book-loving character and her role as a woman growing up under a religious patriarchy, as well as Brooks’ depiction of the devastation brought European settlement to the Wopanaak tribe of Noepe (now Martha’s Vineyard). For me, in terms of my enjoyment of the story, these strengths fairly weigh against the book’s weaknesses. In Caleb’s Crossing, Brooks makes narrative choices which serve both to detract and to enhance the reading experience: she chooses romance over character, and plausibility over romance. For me personally, the book was interesting and enjoyable: I loved Brooks’ use of language, I’m interested in the subject matter, and I had enough going on in my own mind about whether the story might conceivably be regarded as “Australian” to keep me reading late into the night. But, in consideration of the book’s popularity, I have to say: I’ve read other books by Australian women in the lead up to the Australian Women Writers 2012 Challenge which I’ve found more gripping (Kirsten Tranter’s The Legacy, Jaye Ford’s Beyond Fear), more politically provocative (Kalinda Ashton’s The Danger Game, Caroline Overington’s Matilda is Missing), more emotionally engaging (Charlotte Wood’s The Children, Heather Rose’s The Butterfly Man), equally as evocative of a past time and place (Christine Stinson’s It Takes A Village and PM Newton’s The Old School), and as beautifully written (Gail Jones’ Dreams of Speaking). 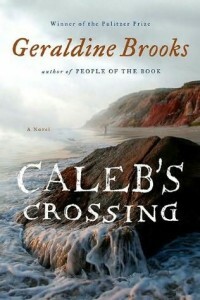 Based on Caleb’s Crossing, does Geraldine Brooks deserve her place as the top-selling Australian woman writer for 2011? Not judging by what I’ve seen. And I’ve only just begun to read. *This review forms a part of my contribution to a number of challenges, including the Australian Women Writers 2012 Reading and Reviewing Challenge, the Booklover Book Reviews blog’s Aussie Authors 2012 Challenge, the GoodReads Aussie Readers’ group’s Aussie Authors with a Twist, and Bookdout blog’s Eclectic Reading Challenge. What’s all the fuss about? Geraldine Brooks’ Caleb’s Crossing by Elizabeth Lhuede is licensed under a Creative Commons Attribution-NonCommercial 3.0 Unported License.